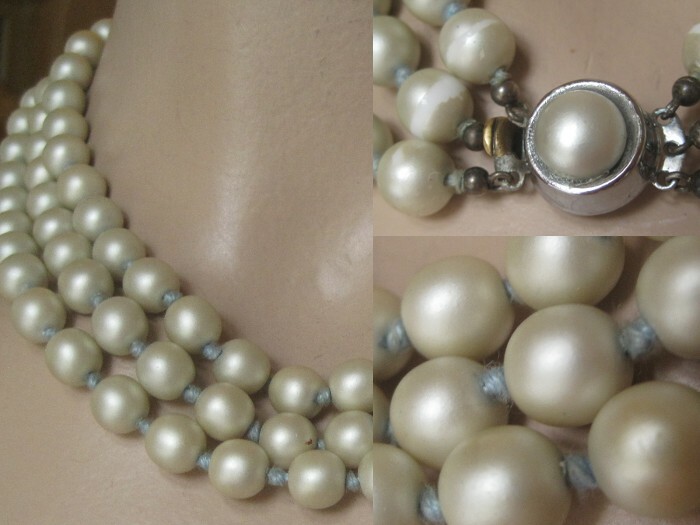 Long flapper style faux pearl collier. L=150 cm. 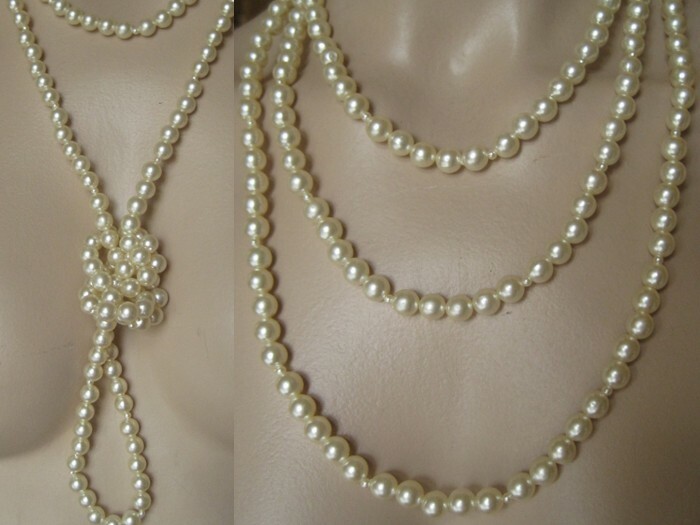 Three strand faux pearl choker necklace.t halsband, The beads close to the lock have some wear. 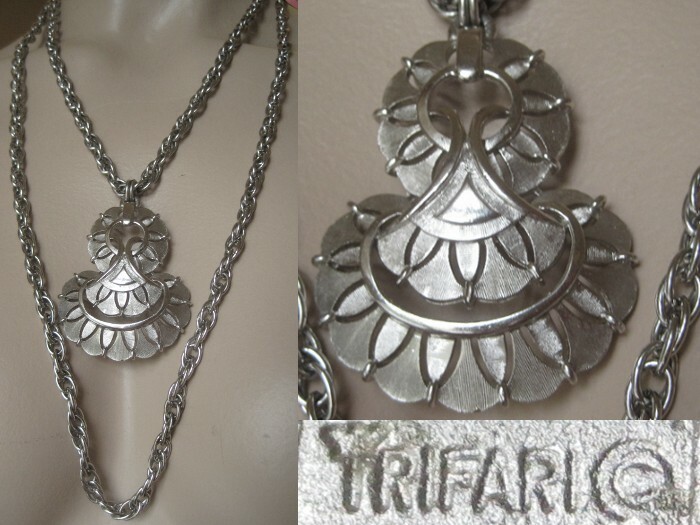 Vintage Crown Trifari necklace, double link strand with large pendant. Probably late 50's or 60's. Length of shorter strand 47 cm, the pendant is 6 cm high. Mint condition! 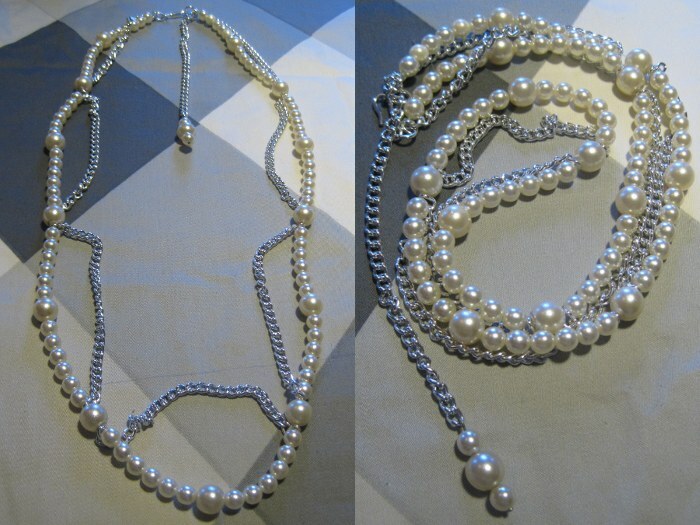 Faux pearl necklace with chains. L=86-100 cm. 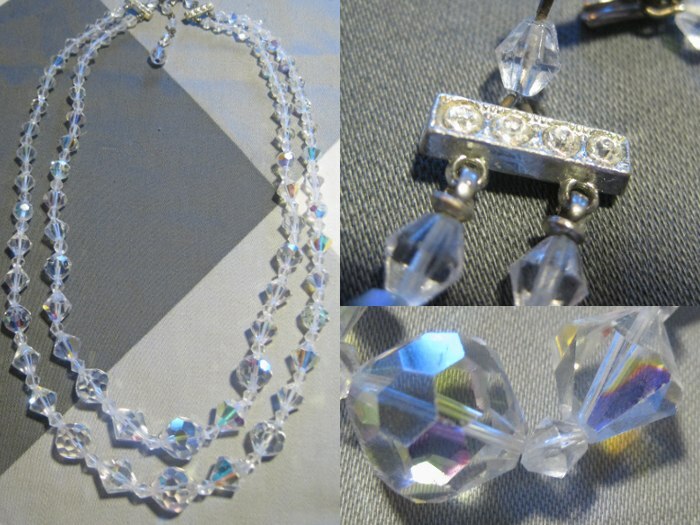 Vintage two strand aurora borealis crystal necklace, probably 50's. 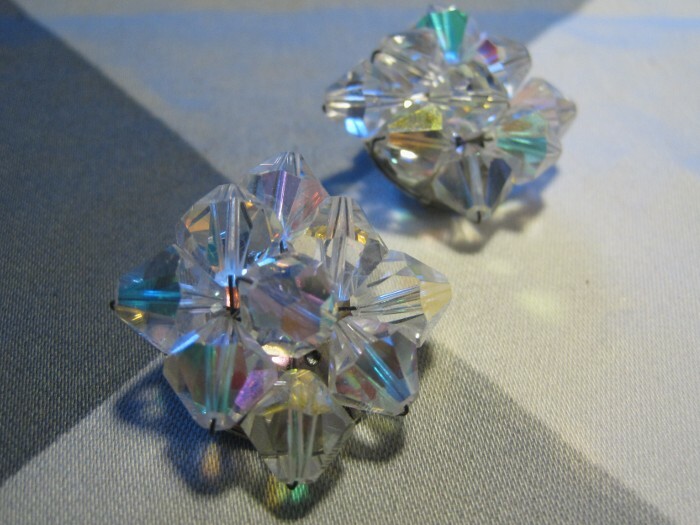 Aurora borealis crystal ear clips. W=3 cm. 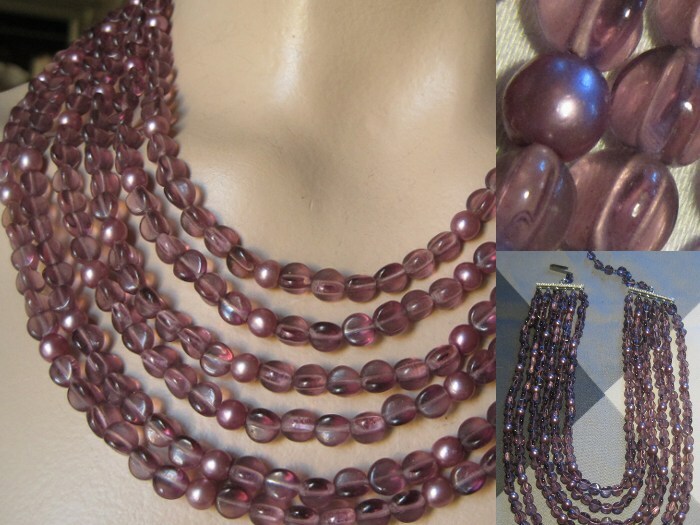 Six strand necklace, glass and faux pearls. 38-44 cm. 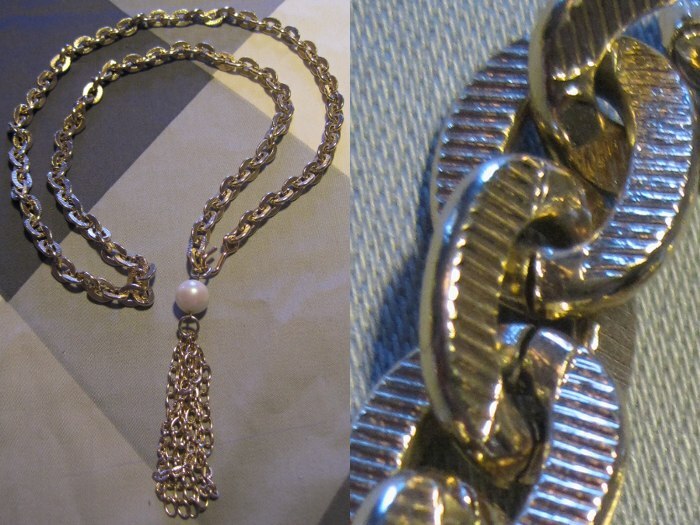 Long chain necklace in golden tone with faux pearl and chains as pendant. Probably 80's. 93 cm, pendant 10 cm. Most of the items are second hand goods. More pictures and information on the condition of a specific item can be e-mailed on request!